these are going up in the shop today! 2 and 3 skein batches. this is probably the last update before pgh knit and crochet. i need to dye early next week, which leaves no time for re-skeining or picture taking! 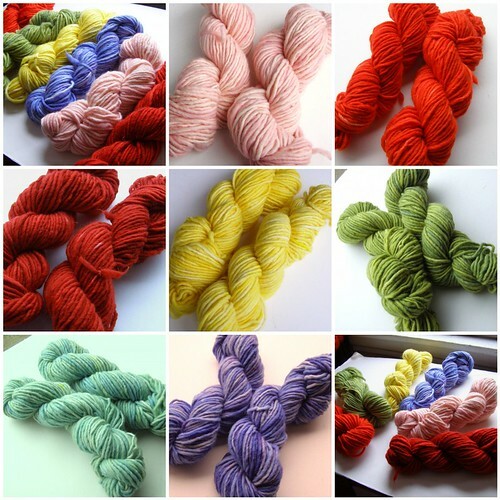 This entry was posted in cosyknitsliterally, dyeing, knitting, update by cosymakes. Bookmark the permalink.